BIO | B. Papadimitriou is president of the Levy Institute, and Jerome Levy Professor of Economics and executive vice president emeritus at Bard College. He was Minister of Economy and Development for the Hellenic Republic from 2016 to 2018. He has testified on a number of occasions in hearings of Senate and House of Representatives Committees of the U.S. Congress, was vice-chairman of the Trade Deficit Review Commission of the U.S. Congress and was a member of the Competitiveness Policy Council's Subcouncil on Capital Allocation. He was a distinguished scholar at the Shanghai Academy of Social Sciences (PRC) in fall 2002. Papadimitriou has authored many papers in economic journals and Levy Institute publications as well as edited and contributed to 13 books published by Palgrave Macmillan, Edward Elgar, and McGraw-Hill. He is a member of the editorial boards of the Journal of Economic Analysis, Challenge, and the Bulletin of Political Economy. 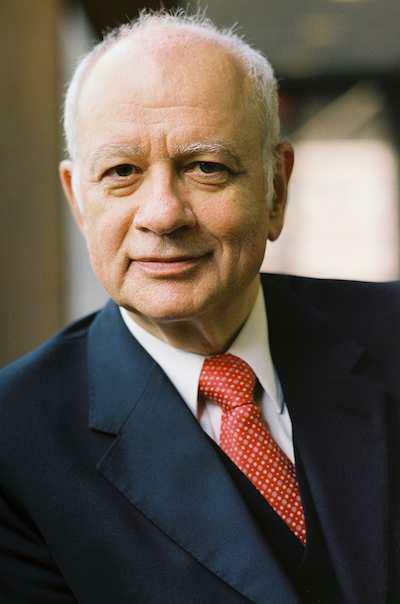 Papadimitriou is a graduate of Columbia University and received a Ph.D. in economics from the New School for Social Research. ORGANIZED BY PERG; THE DEPARTMENT OF ECONOMICS AND BUSINESS, AND THE SCHOOL OF PUBLIC POLICY.